Alinah Azadeh is an artist using live encounter, textile and the digital to ask questions about our social and cultural identities. Alinah Azadeh is a UK artist working across media. Whether a small textile sculpture or a dialogue with a stranger – her works are rooted in the living and disclosure of personal experiences – which can act as a bridge into the work for others to take. 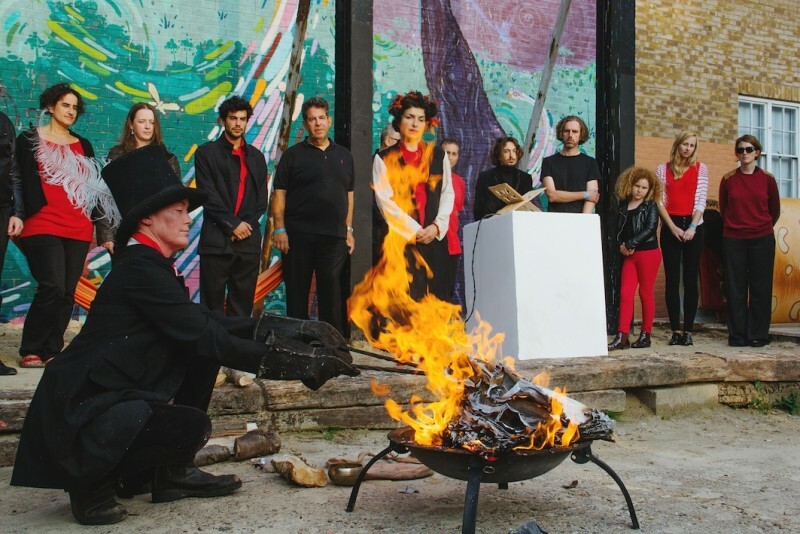 Often involving the public in acts of gift, ritual and playful exchange, they create dialogue around the nature of loss, longing and our social and cultural identities. She recently closed her Book of Debts which toured the UK for three years, providing imaginary debt relief to over a thousand contributors globally. During her residency, Alinah will be developing aspects of Through A Wall, a cross-platform, collaborative project which has just received Arts Council / Grants for the Arts support for a Research and Development period. It explores how walls, barriers and boundaries – caused by migration, prejudice, belief or conflict – shape our identity and understanding of others, ourselves and society. Drawing on historical connections between digital, written and textile cultures, Alinah will be looking into how digital storytelling and interaction could create a structure for the project digitally, and what an eventual output from a digital to a material ‘Wall’ in multiple sites might involve. She will be working with other practitioners, researchers and groups as part of this process, for more info please see www.throughawall.uk.